Born and raised in The Netherlands, Steffie van Rhee has been writing as long as she can remember. From fictional tales about the adventures she would like to go one to making her own magazines. Her writing got her to the School of Journalism in Utrecht, where she soon fell in love with all things film. During her studies she worked as a multimedia journalist for various media outlets, from the local news to an online magazine about TV shows, which she co-owned. After earning her BA in 2014 she shifted her focus and went on to work as a documentary researcher & producer for different award winning filmmakers. In 2015 she moved to New York to pursue a graduate degree in documentary film at The New School for Public Engagement. She took her own seat in the director’s chair and debuted with the short documentary A Life Before This (2016), about a mother who lost her son to police brutality. It went on to screen at multiple film festivals and was awarded with the Special Jury Mention for Student Documentary at the March on Washington Film Festival. Still located in New York, Steffie tries to combine her background in journalism with her love for documentary storytelling, hoping that telling people’s personal stories will raise awareness/bring change to social justice issues. Dedicated to amplifying female narratives she is often found working on projects focusing on women’s issues or driven by a strong female creative team. 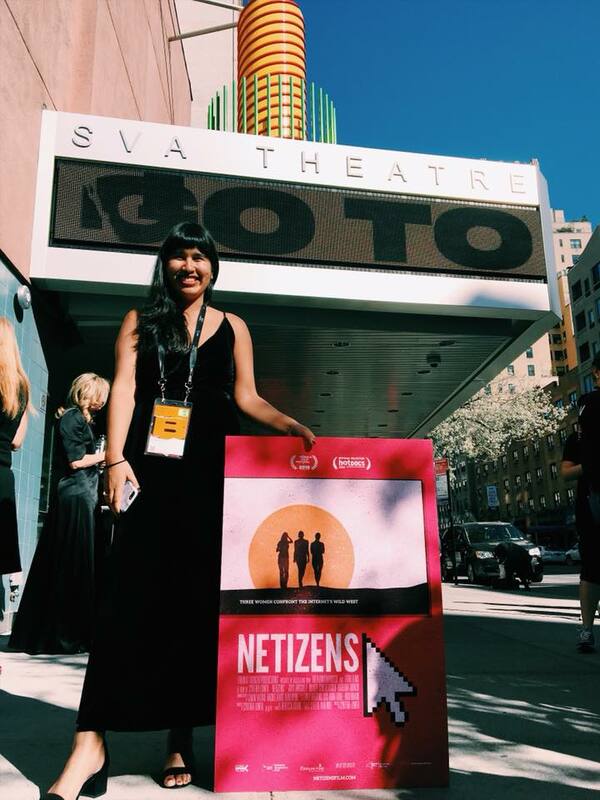 She is the associate producer of feature documentary NETIZENS (Tribeca Film Festival, Hot Docs 2018), about three women fighting back against online harassment, by Emmy-nominated filmmaker Cynthia Lowen. As a freelance researcher & producer she was involved in various projects that are slated for broadcast in The Netherlands in 2019, including Juul Op Den Kamp’s AT ALL COST (VPRO, March 24). This year she is producing her first ever fiction project, short online dating thriller SWIPE from director Niels Bourgonje, under the banner of her own small production company Before Films. As a director she’s developing her first mid length documentary, dealing with issues of representation and young women growing up in a world that is over saturated by images. Additionally, Steffie is a member of New York Women in Film and Television and one of the co-founders of #girlcrew collective, an internationally based all female artist collective.